Selling off the crown jewels – but who cares? The exodus has all but begun. What seemed almost inconceivable just a few months ago is well underway. The crown jewels are about to be sold, but nobody seems to care. Shaun Maloney will surely depart over the coming weeks. The media tell us that there are at least four clubs interested in signing him and that Latics are asking for a fee of £1.5m, which they are unlikely to get unless they can instigate a bidding war. It is said that Leicester City have already offered £750,000. Maloney is an icon at Wigan, largely through his marvelous performances in the latter part of the 2012-13 season and his role as an FA Cup winner. He was the playmaker, the one who would make himself available to receive a pass, able to slot through incisive balls to his forwards. He was excellent on set pieces and would use his dribbling skills to great effect. However, through reasons of injury or illness or lack of form, the Scot has started in just nine league matches this season. He has starred for his country, showing those kinds of attributes. But for Latics he has not consistently shown that keenness to receive the ball and make things happen. He did those things in Mackay’s first game at home to Middlesbrough, scoring a spectacular free kick and going so close with a previous effort. But since then he has not reproduced such form. His fans would say that he remains the best midfield player at the club, but is playing in a team that does not know how to play good football. Too often his fellow midfield players will pass the ball behind for the defence to hoof up front. The case comes to mind of Dutch international midfielder Denny Landzaat who got himself into hot water during the Steve Bruce era. Landzaat’s performances at Wigan had been disappointing. When asked about his form by the Dutch media he told them that most of the time the ball from defence went over his head, not to his feet. Landzaat was undoubtedly a skillful player, but he just did not fit in to the Bruce style of play, so he moved on. At 31 years of age, Maloney will be keen to safeguard his future. Despite having been dogged by injury he has shown that he has the quality to be a better than average player at Premier League level. Maloney was a key cog in the machine that played the best football in Wigan Athletic’s history. However, under the Mackay regime he just does not fit. Most fans will accept the need for Maloney to move, but the case of Oriel Riera is something different. The latest reports suggest that he is about to join Deportivo La Coruña on loan until the end of the season. Promoted last season from the segunda division they are in 16th place in the primera division of La Liga. Riera’s case contrasts with that of Maloney. The Scot is about to move to a higher league after an unsuccessful spell in a lower one. The Spaniard is about to do the reverse. Following the recent news of Grant Holt’s long term injury, many of us expected Riera to stay, but it appears that negotiations for his release have been going on for some time. Mackay and his coaching staff have clearly written off the Spaniard and it looks like he will not be coming back after his loan. Critics will say that Riera lacks the physicality to be successful as a central striker in the Championship. At times he has been anonymous on the field of play, not being able to stamp his mark on the game. However, most fans will say that he has never been given a fair chance. Riera came to Wigan three years too late. He would have most likely thrived playing in Roberto Martinez’s team. However, the role of the lone centre forward this season has been largely taken up in trying to make something of the long hooves launched by goalkeeper and defenders. One wonders if even the likes of Diego Costa or Robin Van Persie could have done any better receiving that kind of service. Rather than include Riera in the starting lineup Mackay has resorted either to the goal-shy Marc-Antoine Fortune or James McClean, a left winger playing out of position. The result has been that Latics have only scored one goal from open play since the manager’s arrival. The club will be keen to bring in funds gathered from Maloney’s transfer and Riera’s loan deal. Andy Delort will surely be among the next to go. The transfer fees paid for Riera and Delort together amounted to around £5m, big money for Latics these days. They will be keen to cut their losses. Further economies will be made shortly when Roger Espinoza will be taken off the wage bill, sadly on his way back to Kansas after a frustrating time at Wigan. The need for a physically uncompromising defender has been standing out over the course of the season. Media reports suggest that Mackay is about to sign a player who fits the bill. Liam Ridgewell went to Portland Timbers in the MLS in June after being released by West Bromwich Albion. He is an experienced Premier League defender, who can play at centre half or left back. However, in a time when the club are under attack from the national media they are about to make themselves vulnerable again. Moreover fans have become disillusioned by the attitudes of players who earn more in a couple of weeks than most of them do in a year. Ridgewell will come with the baggage of his antics of a couple of years ago which were reported on the national media. Such behaviour will hardly endear him to the fans at Wigan. These are trying times for Wigan Athletic supporters. The club seems to have gone into free-fall and there is little light at the end of the tunnel. Fans have grown so disillusioned with the lack of performance of the players that most no longer care about who gets sold off in the transfer window. There is a general malaise that is dragging the club down. Players who have proved themselves in the past have been pulled down into the mire. The likelihood is that the players leaving during Mackay’s fire sale will be successful at their new clubs. 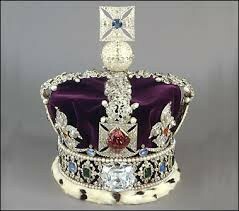 The crown jewels of old will most likely be sold off – but what will take their place? It is a crying shame that our most talented player, Shaun Maloney, is not playing well for us. I would have thought he would be perfect for the 3-4-1-2 formation that we tend to use, playing in the No. 10 role where he is best. This would also allow McManaman to play in the second striker role in which he plays best, and our two most effective attacking players would therefore be playing in the same team in their best positions. But successive managers are not seeing this, nor the importance of Maloney, and I fear he has become disillusioned with the club and wants to seek pastures new. If this is the case, then all the best to him. I am sure he will do well in the Premier League. However Oriol Riera must be given more opportunities to play up front. He is a good player and must be given a chance.